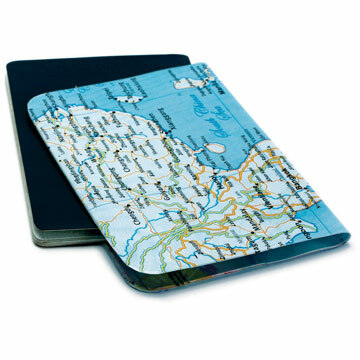 Map Passport Holder. On each trip we make is always best to have everything ready and organized. Case cool for a passport. If you are passionate about travel, you know that it is always best to prepare everything in advance and if you travel by plane, train or bus, it is always best to take documents well guarded and protected. For passports too, so with this case you can save and protect. Plus you'll be thinking about your next trip thanks to your map.